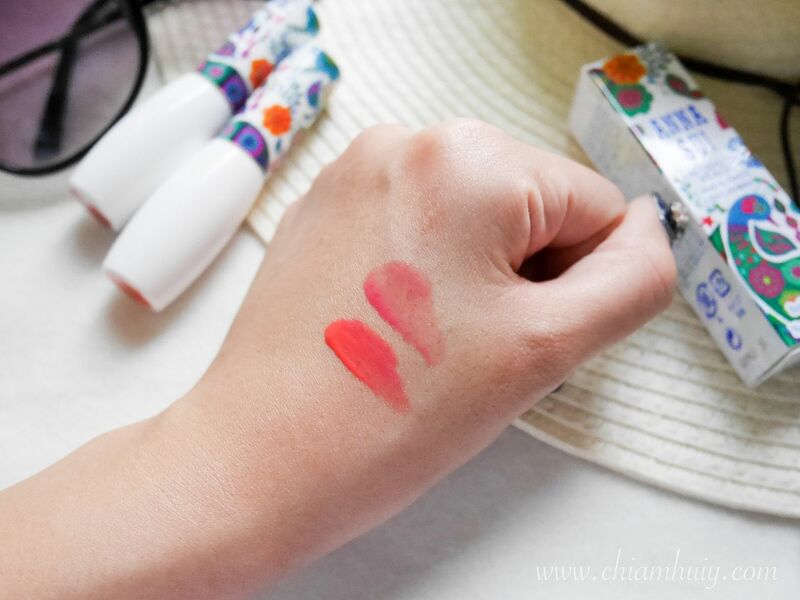 The new Anna Sui Tropical Summer 2016 Lip Colour Stain just stole my heart so I thought it's a good idea to spread the news about this! 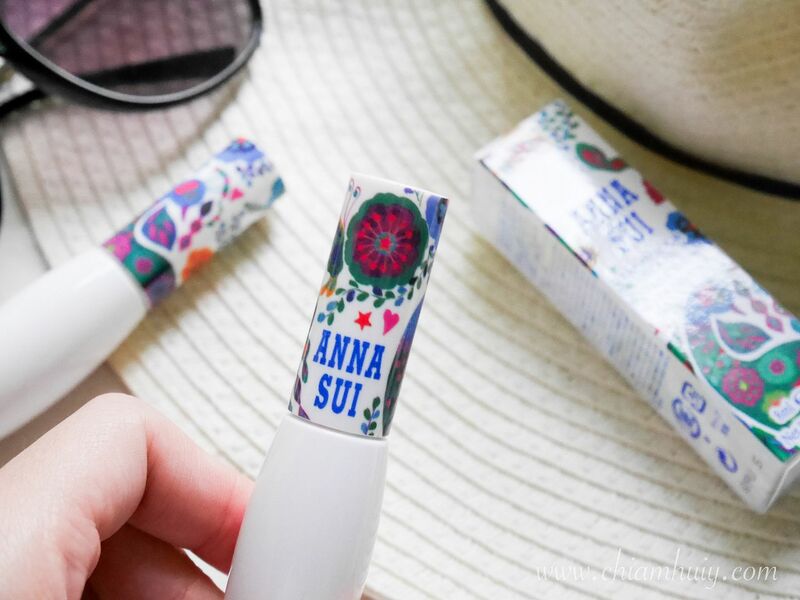 The Anna Sui Lip Colour Stain is actually newly launched for their 2016 Beach Collection Theme, and I am really liking the floral colorful peacock design. 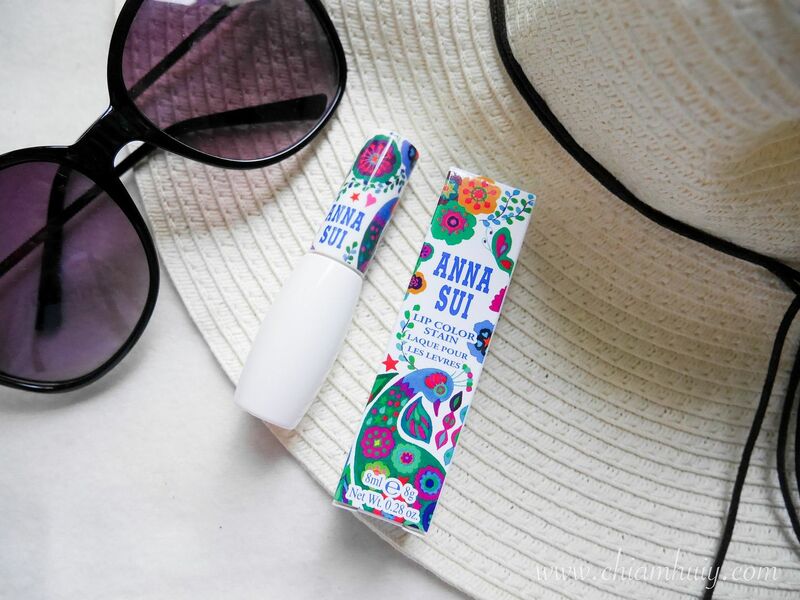 I find the Anna Sui Lip Colour Stain pretty moisturising, it can actually substitute my lip gloss or balm. I realise there's an increase trend where lip stains are replacing lip glosses, though I don't really find a difference between the two. 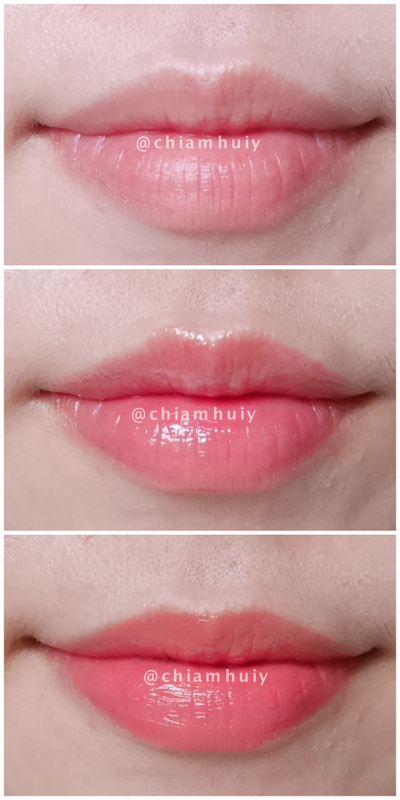 Perhaps the former (lip stains) have more color pigments which promises a bolder or fuller lip look. There are 5 shades in total. Orchid Pink, 301 Carnation pink, 302 Coral pink, 400 Clear red and 600 Tangerine orange. What I have here is 400 Clear red (middle pic) and 600 Tangerine orange (bottom pic) shown below. I find that the 400 Clear red is slightly more sheer than the 600 Tangerine orange. Nonetheless, it's quite buildable so you can swipe a few more times for a darker shade. 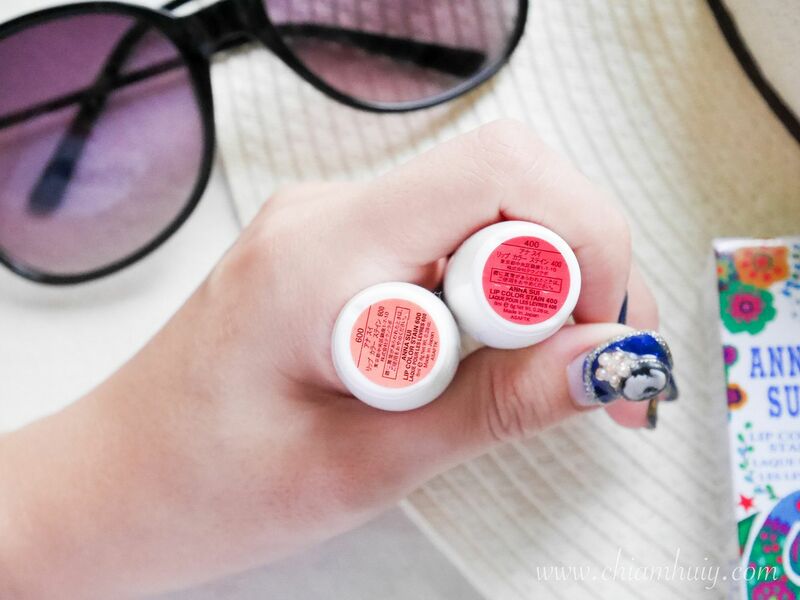 Lip stains can also use to give a ombre lip look. 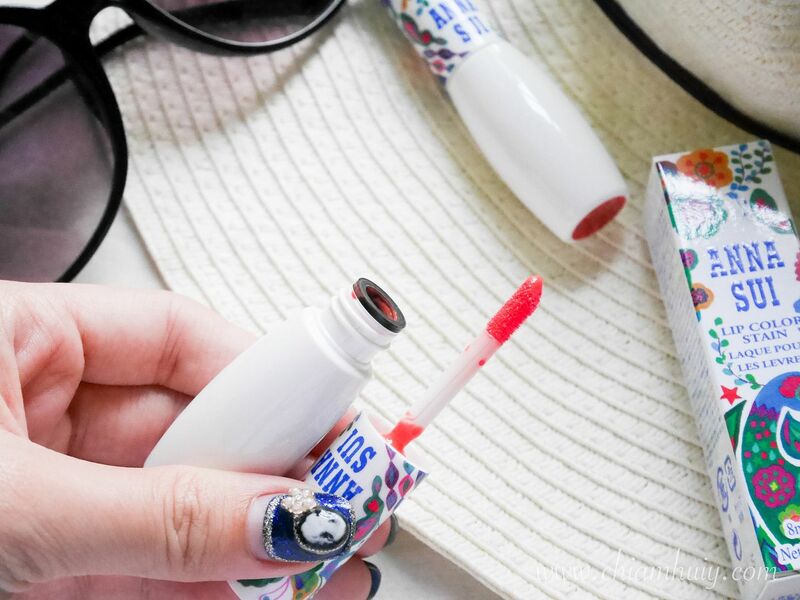 Simply swipe a few more layers in the inner of your lips! 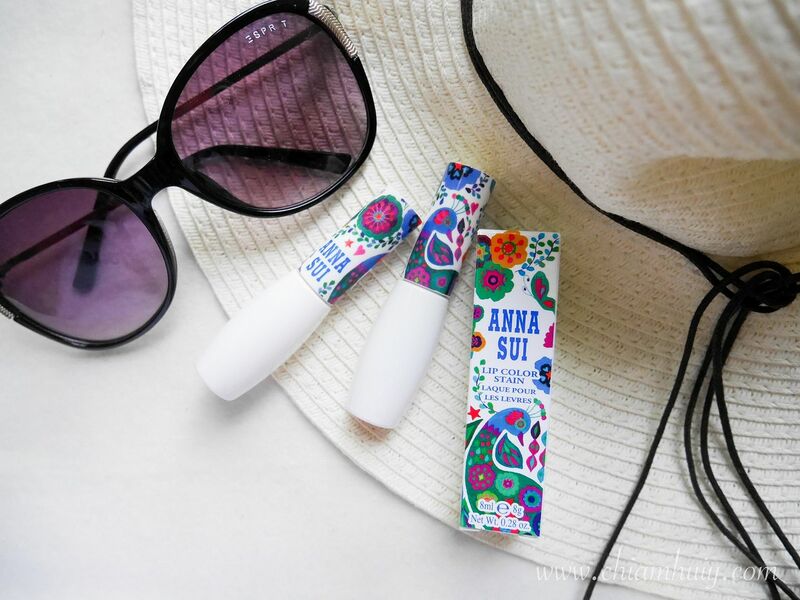 Anna Sui Beach Collection is available in department stores from June 2016 at Takashimaya D.S. Level 3, Isetan Scotts and BHG Bugis.